I was recently asked a question by a #DPTstudent about fail rates of startup physical therapy clinics. In all honesty, despite my involvement in all things numbers, stats, surveys, etc… that was a figure I really did not have. I conveyed as much. I also expressed that what I’m hearing more of via the digital grapevine isn’t the failure of startup clinics. Rather, it is the failure of clinics to grow & scale upward; and, ultimately the failure of companies that do not fully capture the competitive advantage in economies of scale. With this in mind, here are…! Since we began this post with metaphoric grapevine, let’s stick with that as a motif for this post. For there to be any growth at all, there needs to be the creation of a business. One must plant the vine. This is truly one of the greatest barriers to any who go into business as owners, as a startup, as anything at all. To start, to act… these are many times the hardest steps. One must gather the appropriate resources, plan out the usage of water, fertilizer, manpower, etc… ultimately, it isn’t just planting that is part of the creative process — it is the entire formulation of precisely what is required, which steps are necessary, and in which order of operations to engage for the best crop yield. Just as with a vineyard, not only is climate important, the type of grapes, and the timing of the seasons are absolutely critical to a successful launch. Translated into the business world: to create a business, one must be exceptionally intentional & precise as it pertains to the business plan, the market entry analysis, the financial projections, and the execution of all of said as well as best laid plans — failure, is not an option. Cultivation is the growth and propagation of healthy vines in ultimately producing a fine tasting wine. It doesn’t just happen over weeks, months, or even years. Cultivation covers season after season in tending to precious vines which require nourishment, support, protection, and encouragement. Perhaps where small business fails most often is cultivation; the actual growth of a business from one site to two locations, from two locations to ten locations. All too often, I hear of owners who have “busy clinics,” who also have the ability to expand. However, they don’t — they refuse. They are happy with the way things are. This, is essentially cutting the vine off too early or denying it resources where there is plenty of room left to grow. Now, certainly, some businesses don’t need to grow. However, there is a difference between need & refusal; if a business is able to, why not raise up future leaders & pass on the torch? After all, growing the vine requiring intentional propagation; the raising up of key leaders to take the helm, or, take charge of new plots when ready. Therefore, if you are a practice practice owner & you see the potential to grow; I encourage you to cultivate talent to grow your legacy into the next level. This is a danger to both the organization itself and the industry which they are part of. Overgrowth, unbound utilization of resources, and lack of precision in tending to the many fully flush vineyards quickly allows for overgrowth. It also allows for the presence of weeds and thorns. All are dangerous. Overgrowth can cause the vine to die entirely, as far too much resource is spread thin throughout the vine for good grapes. Weeds and thorns are similarly detrimental to the vine as it can siphon the resources away from the vine as much as it can choke out the vine entirely. The art of curation is optimizing the good while cutting out the bad; the pruning of the vine. For a business, this requires systems to be proper place. The best systems create a natural environment where culturally favorable talent seems to only prosper and grow, while less favorable cultural elements within the organization self select out. A few tips: Reward excellence, punish mediocrity. Recognize talent, do not blindly praise longevity — after all, time isn’t value; time is a vehicle for value — one must use time for it to bring forth good fruit. As fun as it was playing with “the vine” metaphor, it remains the case that businesses fail to growth because they fail to truly start, they fail to propagate the fruits of their labor, and they fail to constantly tend to their plots and ensure only healthy cultures are present, that the best talent is consistently brought in, that the right people are groomed into the right leaders at the right time. If you’re thinking about starting up or have just launched, be sure you constantly attend to your resources in a manner that causes propagation. 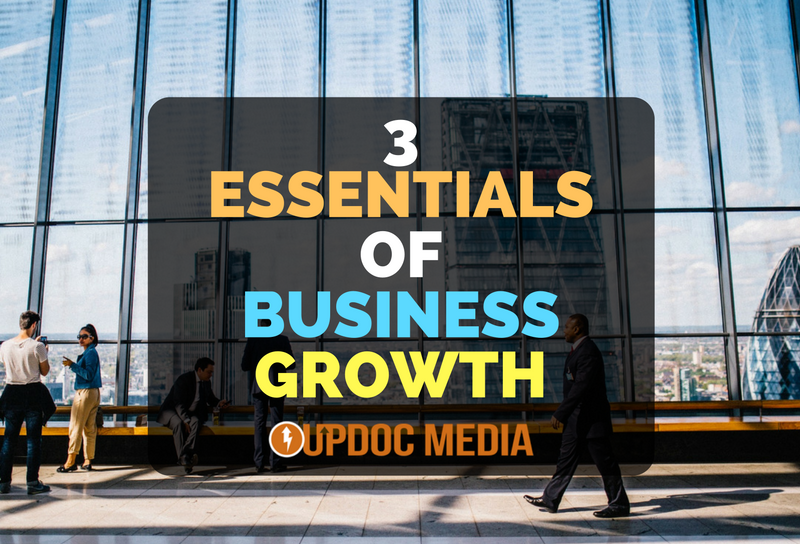 If you are part of an established small business, your focus needs to be expansion. And, if your company has expanded and has been expanding, the focus needs to also capture the grooming of all kinds of capital — be it talent, intellectual property, proprietary know-how, along with the elimination of waste, redundancy, and mediocrity. Growth comes upon creation, cultivation, and curation — you must have all three.